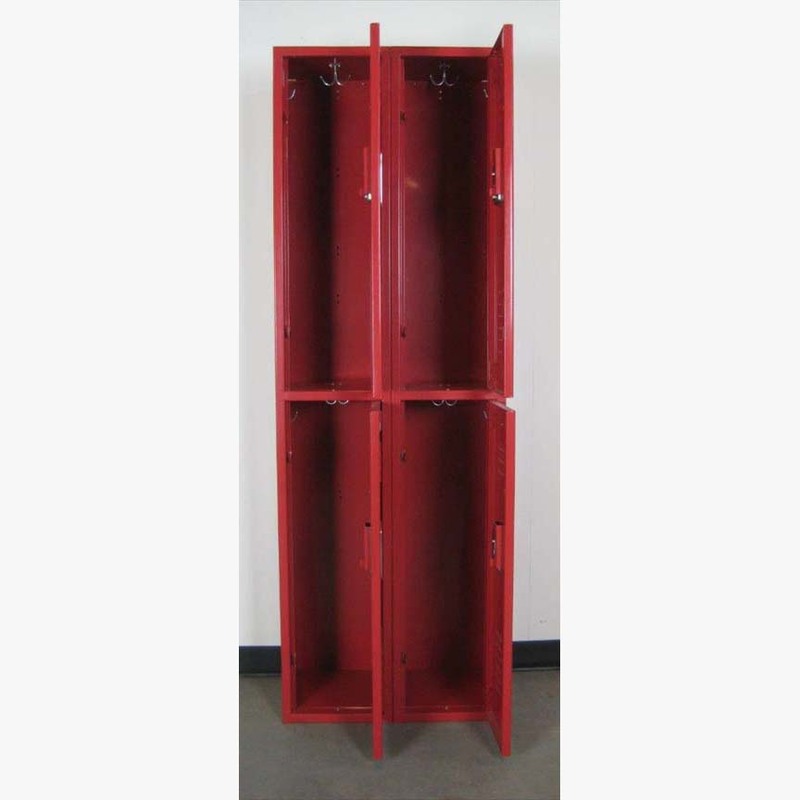 These Red Double Tier Penco Lockers are available on www.buyusedlockers.com where they have a huge selection to choose from if we need additional supplies. 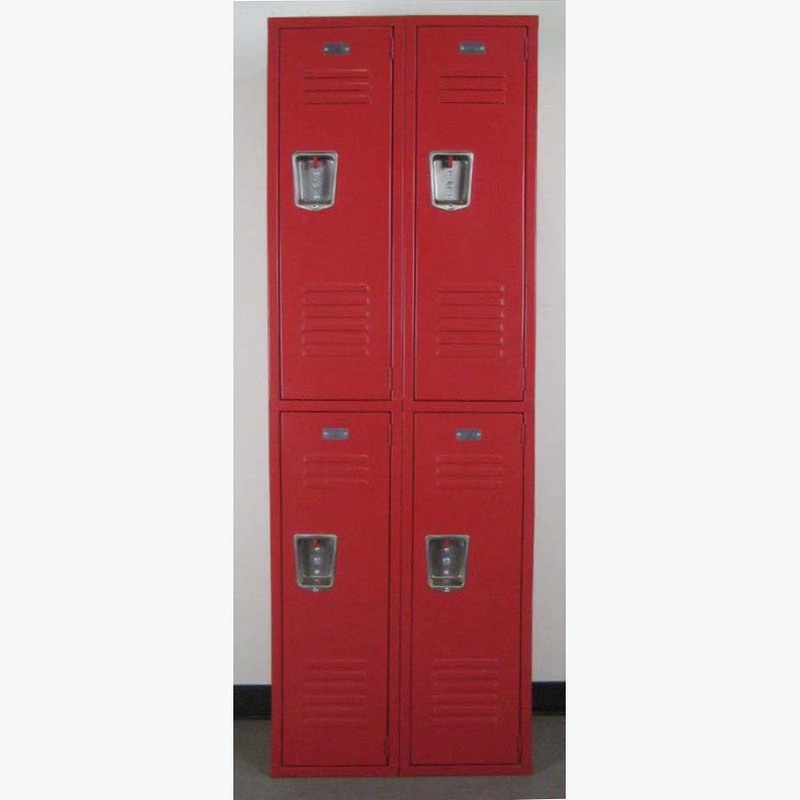 These factory overstocked lockers have been priced to sell. 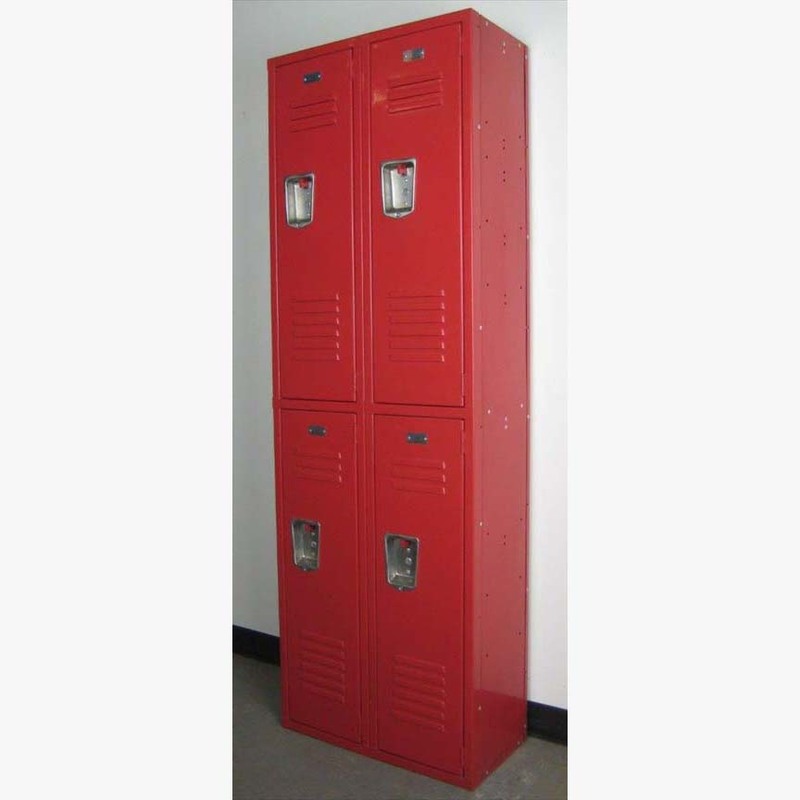 These double tier lockers are 12" wide x 12" deep x 36"/72" high. The are in new condition and include clothing hooks and number plates. They can be locked with a built in key or combination lock or a removable padlock. They ship fully assembled and are ready to use once they arrive at your location.